I’m off to a good start for my March projects, fixing up the Grunow 588. 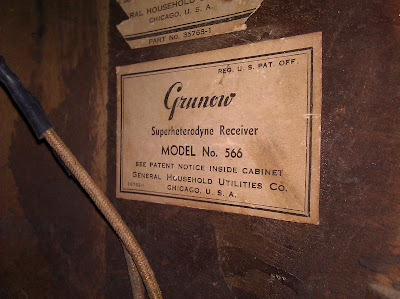 Next up is my Grunow 566 from the year before, from 1936. I picked this one up from eBay in shockingly good original condition – it looks almost brand new. Digging into it, though, it turns out I have a bit of work ahead of me. Someone’s been in this one – several times – and has made several modifications of somewhat questionable workmanship, to put it nicely. 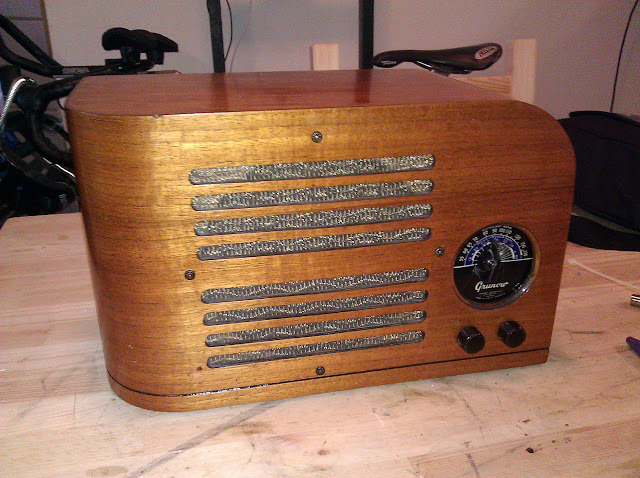 This one is an even simpler radio than the model 588; it’s still a superhet but this model has no AGC (automatic gain control) on the front end. The tube line-up is 6A7 6D6 76 41 80. 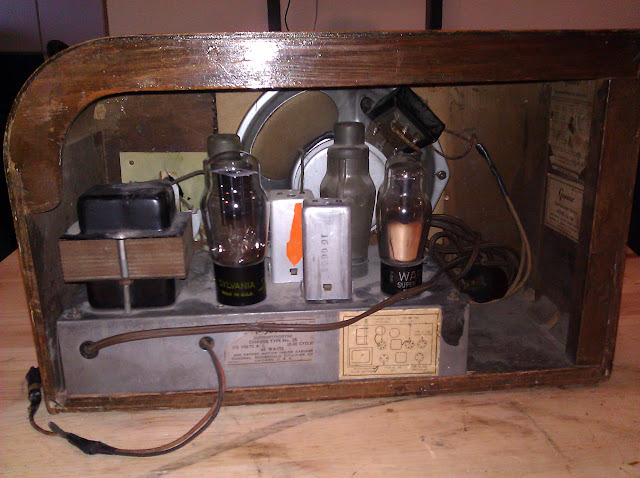 Most of the other radios I’ve serviced have a #75 in the 3rd position (a double-diode + triode tube); the #76 is a single triode only. The lack of the two diodes accounts for the lack of AGC. This does make it a simpler circuit to work on, though, as there are several fewer capacitors and resistors that would otherwise be on the AGC line. There’s also something about that speaker…it’s been replaced! 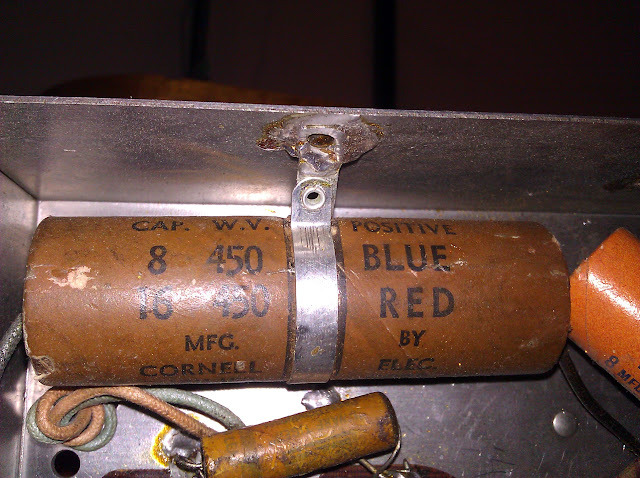 The original, correct, speaker for this model is an electrodynamic speaker with a field coil. Field coil speakers were used before materials science advanced to the point of giving us reliable and powerful permanent magnets, where the magnetic field for the speaker was powered by a high voltage passing through a large coil. 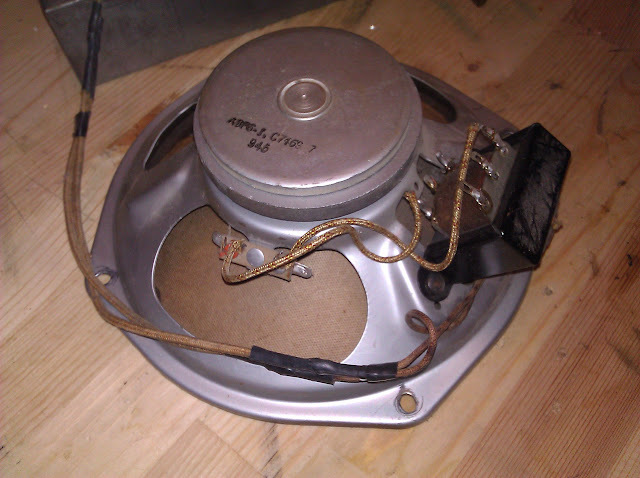 Electrodynamic speakers required four wires to operate (two for the field coil, two for the voice coil). This one only has two! Someone replaced the speaker with a rather large permanent magnet speaker. 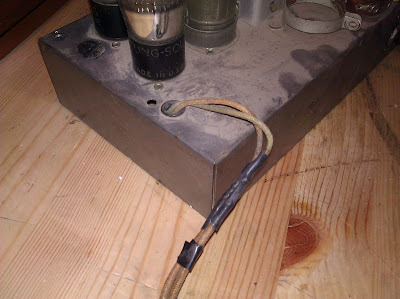 The original speaker had a hum-reduction coil which doesn’t exist on this speaker, so it’s been eliminated as well. Granted, this one might actually sound a little better than original, but it’s a big change. 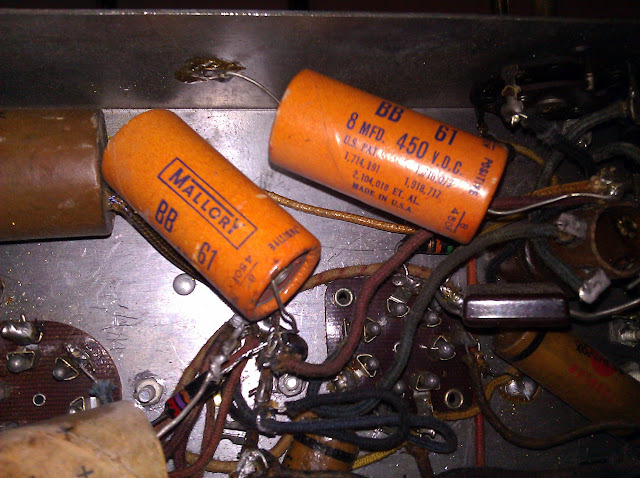 Swapping a field coil speaker for a permanent magnet speaker also leaves the issue of the field coil, which is a part of the power supply circuit and is necessary for the radio to work. 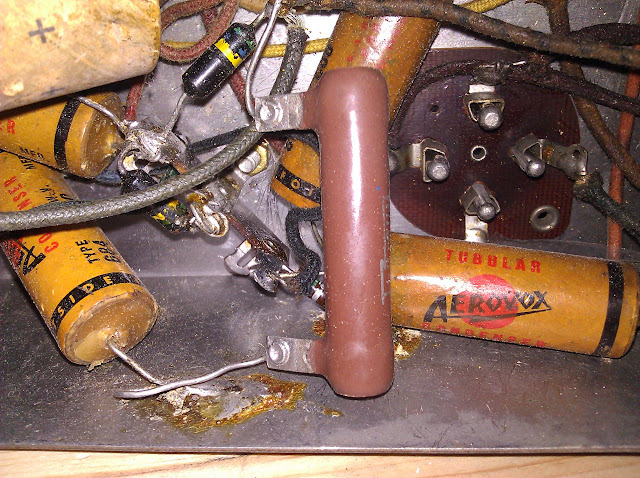 When this cap failed, it was replaced by two more caps – put in the circuit across the old caps, without removing them. When one of those caps started failing, it was replaced by another also just tacked in across the failed point. And arriving with one end broken off. I’m somewhat curious what “Semi-Polarized” means, but suspect it’s just a quirk of older manufacturing methods. 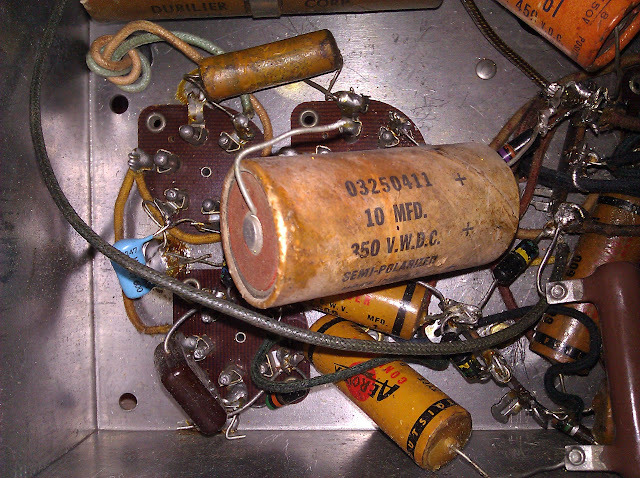 Regardless, though: this radio which is supposed to have only two electrolytic filter capacitors currently has five installed. I’ll be cutting them all out and sanity checking the entire power supply. The age of the parts used in these repairs leads me to believe it was modified like this sometime in the late 1940s up through the ’50s, which makes it somewhat authentic if not original. 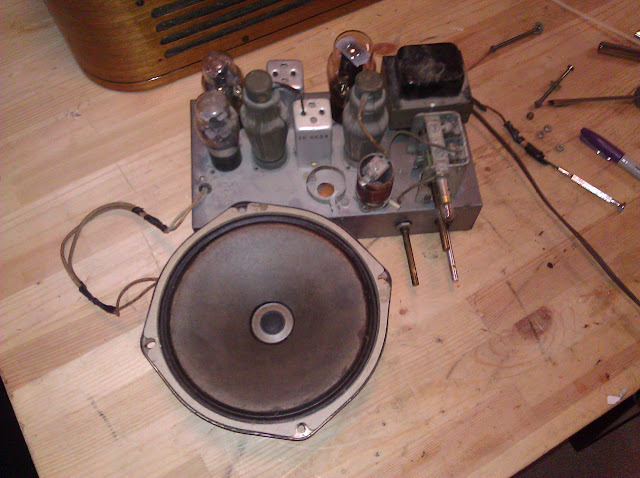 I’m going to fix it up as well as can be but don’t plan on reversing the speaker-swap and we’ll see how it goes. Stay tuned! 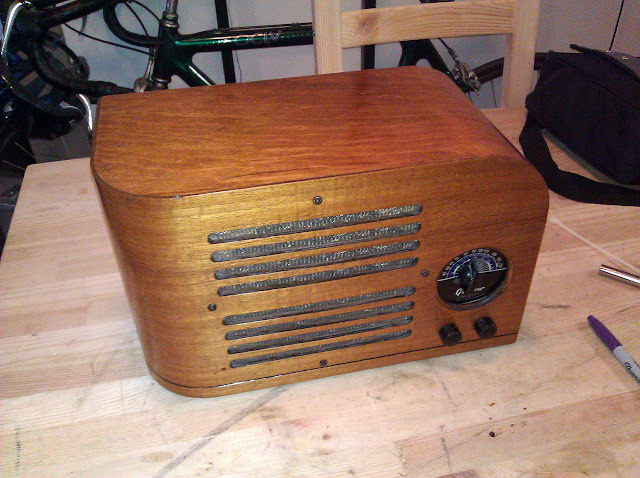 This entry was posted in Photos, Projects, Radios and Tubes, Vintage and tagged antique radio, capacitor, electrodynamic speaker, field coil, grunow, Grunow 566, Grunow Chassis 5-S, Grunow Radio, Grunow Radio Repair, hacked, modification, permanent magnet speaker, repair, restoration, tube radio. Bookmark the permalink.